Another month has passed by and it was time for Family Night at the mission home again. 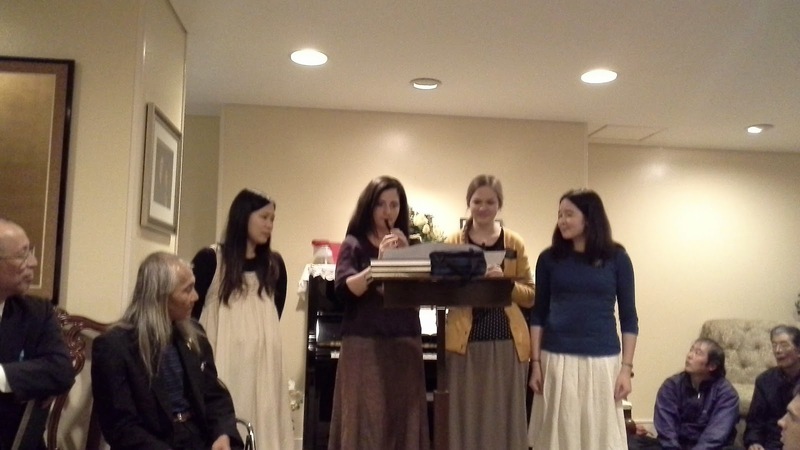 These sweet sisters did a lovely musical number and helped with a "get to know you" game. 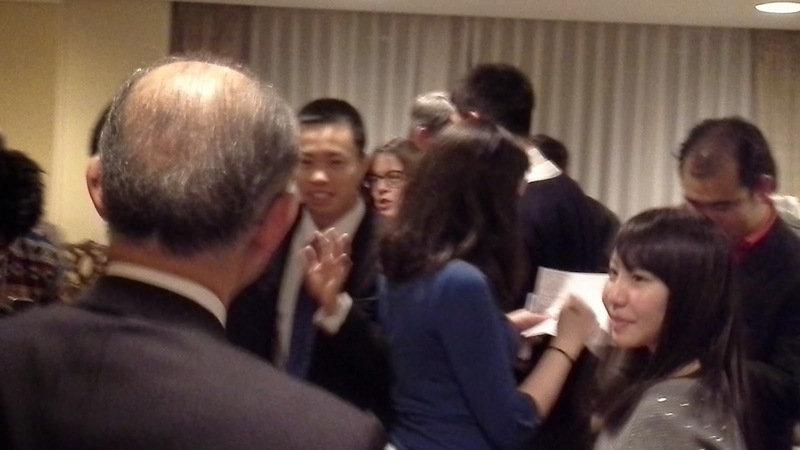 And we had a nice video in English and Japanese. And ice cream bars for dessert. 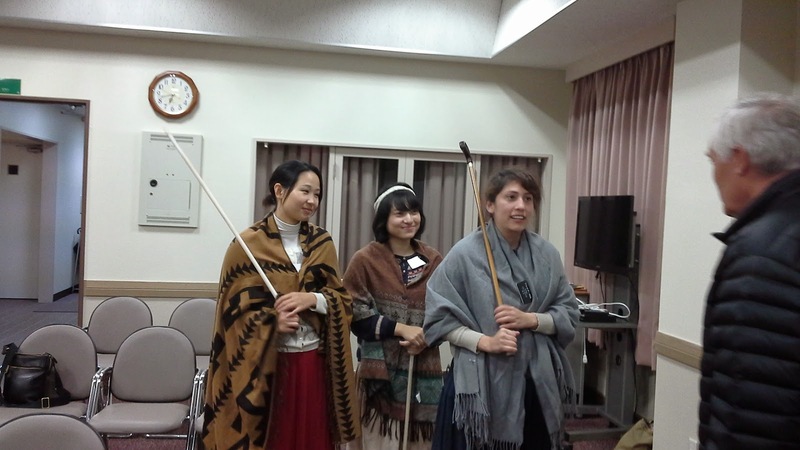 For our Eikaiwa activity this week, we had a Thanksgiving skit. We tried to tell about the Pilgrims and their move to America. The cutest little natives ever. We had two little kids that came to our class. This little boy reminds me of one of our former assistant to the president. Minus about 15 years. 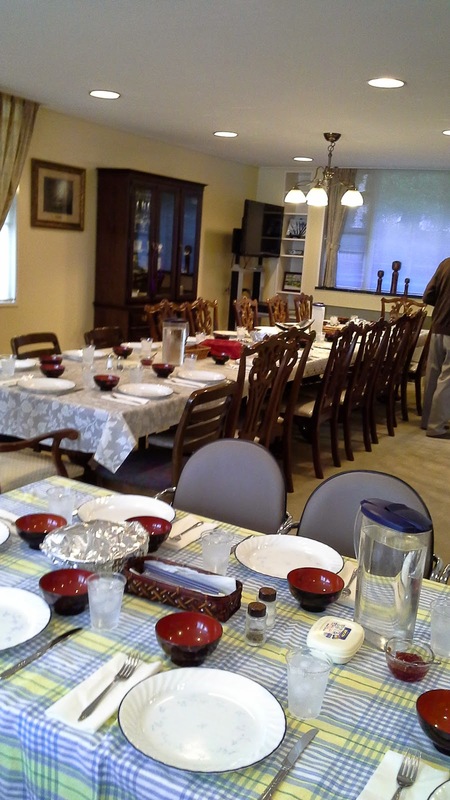 And, on Thursday, we celebrated Thanksgiving at the mission home. It was a real treat to have a turkey dinner with all the trimmings. 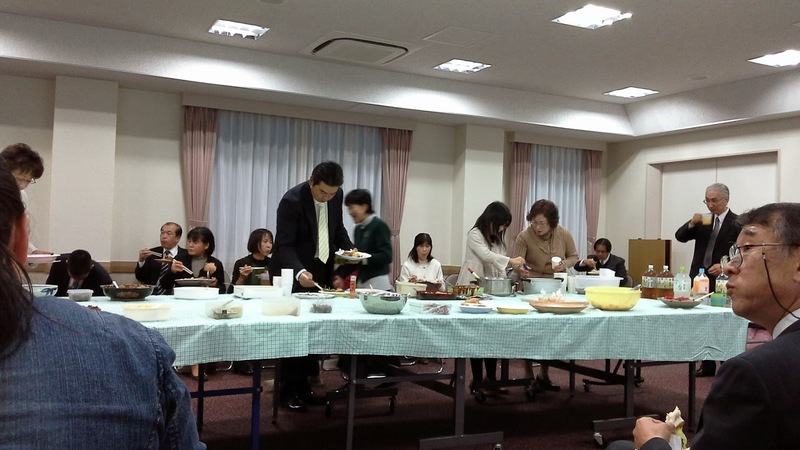 For some of our Japanese missionaries, it was their first Thanksgiving dinner. Everyone really enjoyed it. 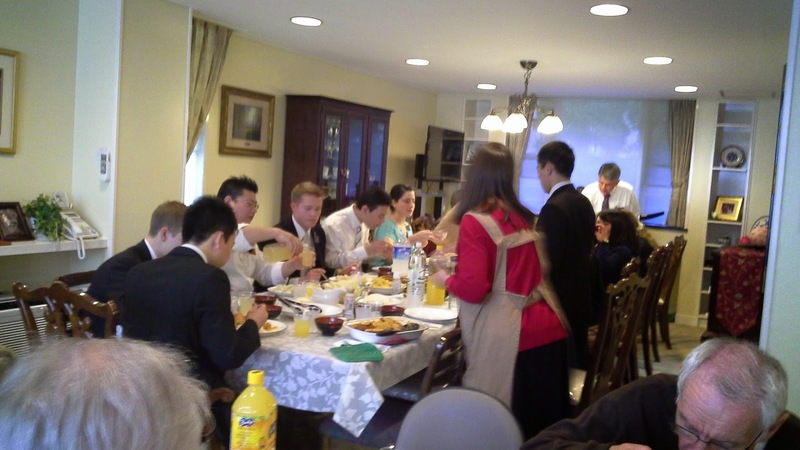 The senior missionaries got to sit at the "kid's" table! 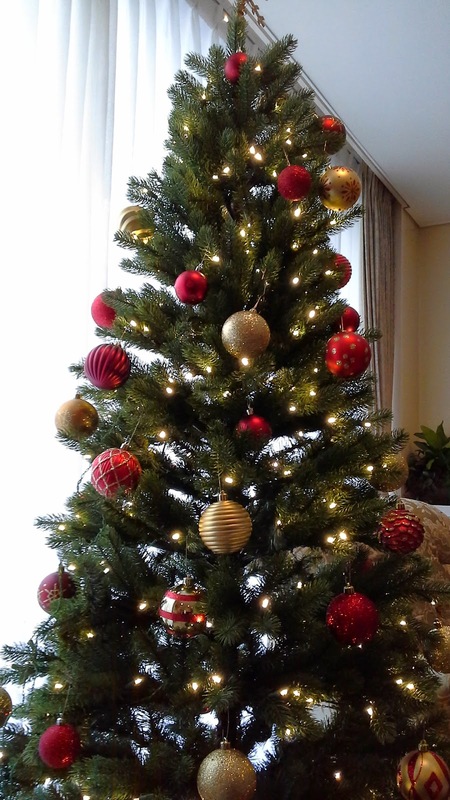 It's beginning to feel a bit like Christmas. 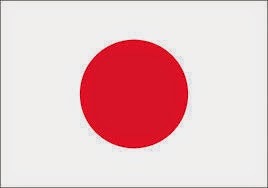 We did not go out to Kakuda this week. We did enjoy our day remembering our many blessings. 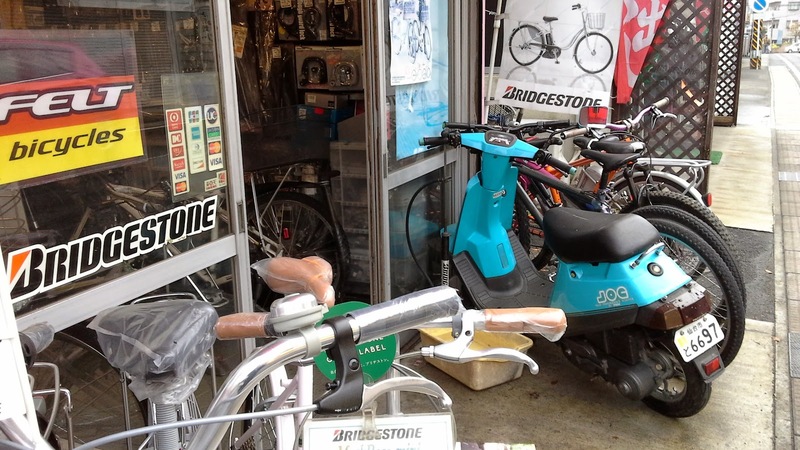 On Saturday, we took a bike to Ishinomaki. One of our elders needed quite a bit of repairs, so we took a different one to trade. We had another bike in the van that we were going to drop off at the bike shop and some parts of that bike ended up staying too. 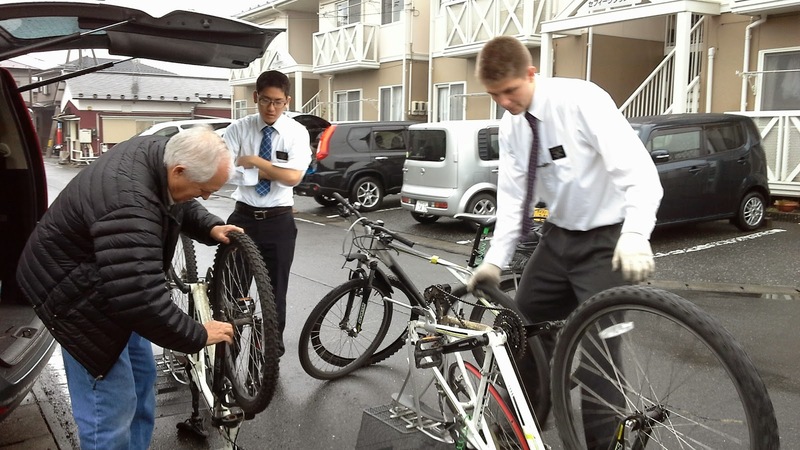 So we were able to help more than just one elder. 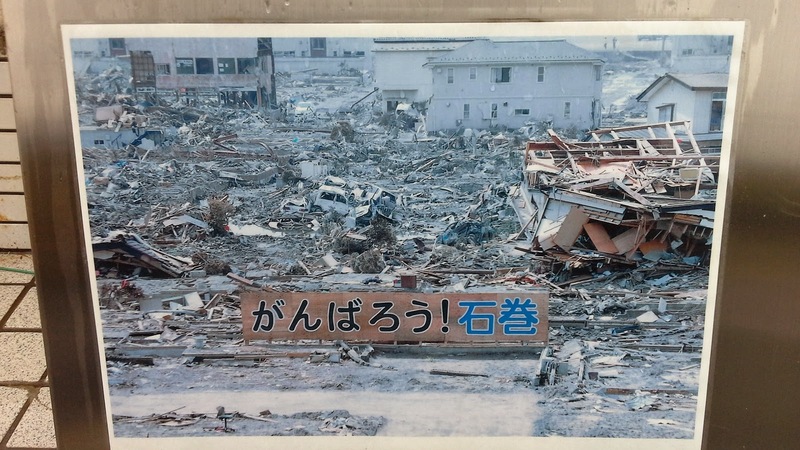 Then we drove over to see where the tsunami had hit this town. We came here once before to a concert. The church helped the town with freezers for the fishing industry. Here is a little memorial for the victims. And a photo of the devastation. 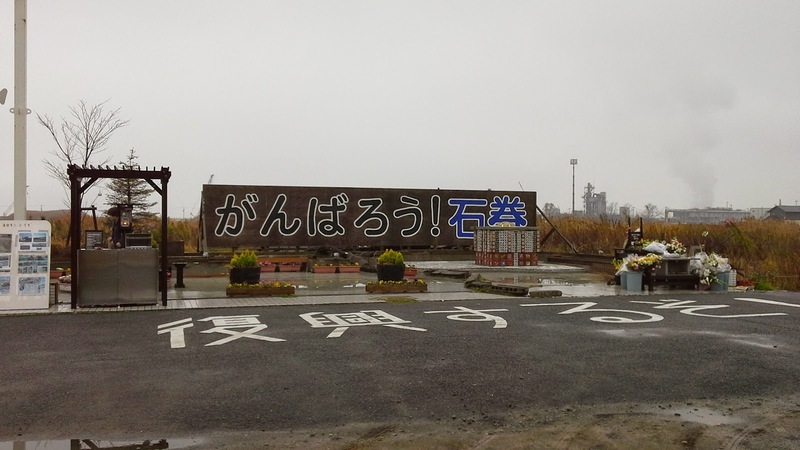 This is the same sign that is on display above. 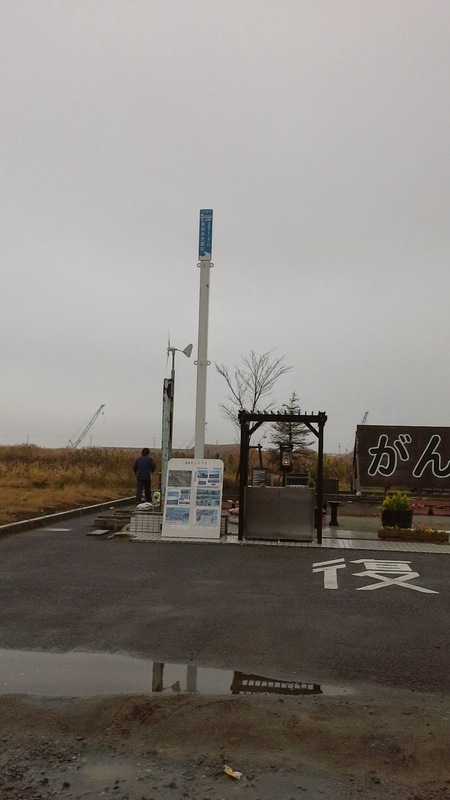 The blue mark on the pole shows how high the water came here. This is up on the hill across the street. The houses up here are gone also. 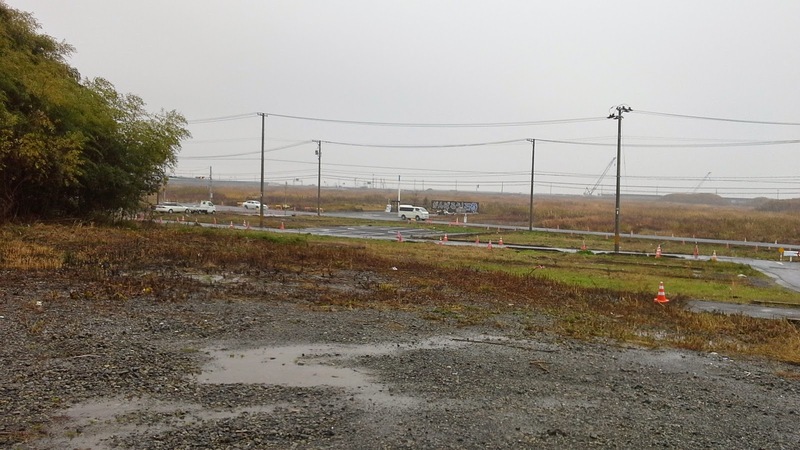 It is a large, low lying area. Everyplace we go, we see these huge areas that have been destroyed. It is mind boggling to imagine what that must have been like. 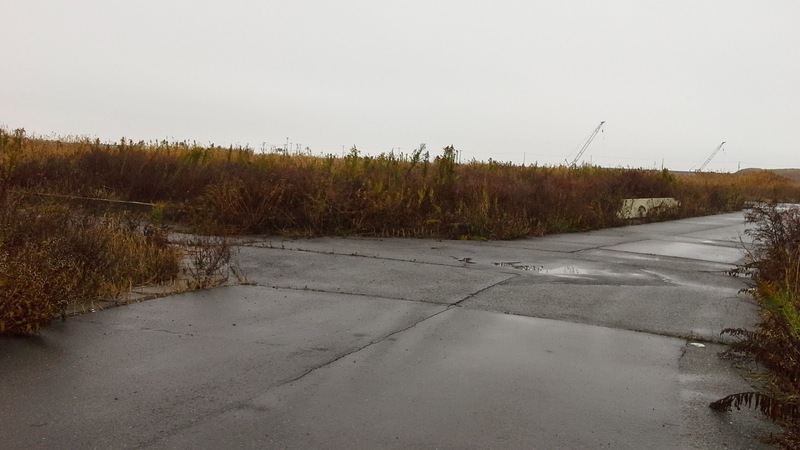 There used to be homes and buildings here. Only some of the roads are left. 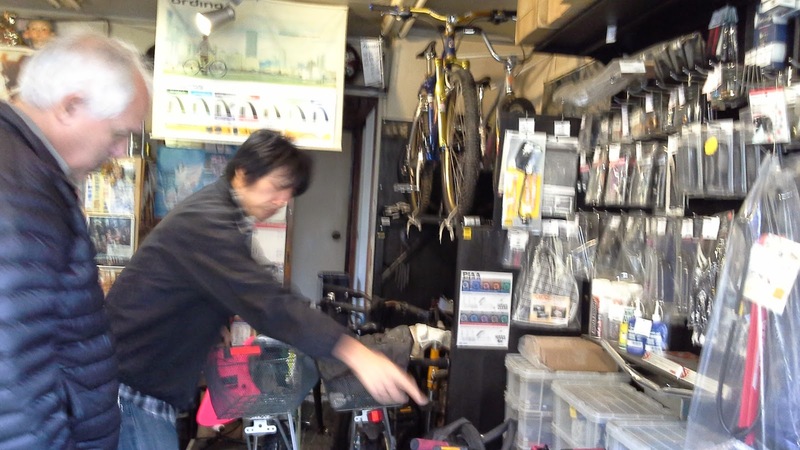 Then we took the bike parts back to this little shop so our friend can work his magic on them. We took four bikes in and he thinks we'll end up with three good bikes when he's done. 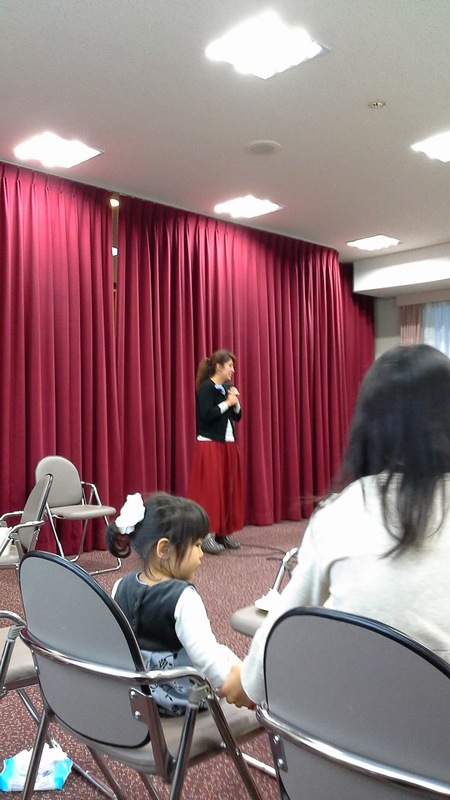 On Sunday, our stake patriarch and his wife, the stake relief society president came and spoke in our ward. 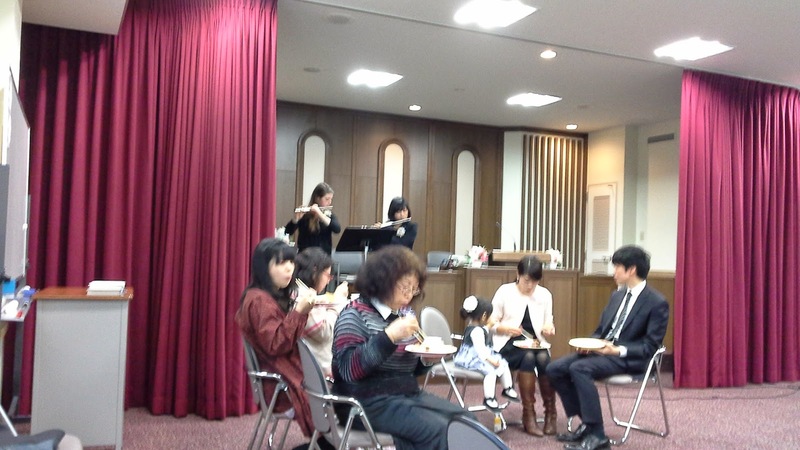 Since it was a fifth Sunday, we had a "Linger Longer" or Shokujikai (or eating meeting). 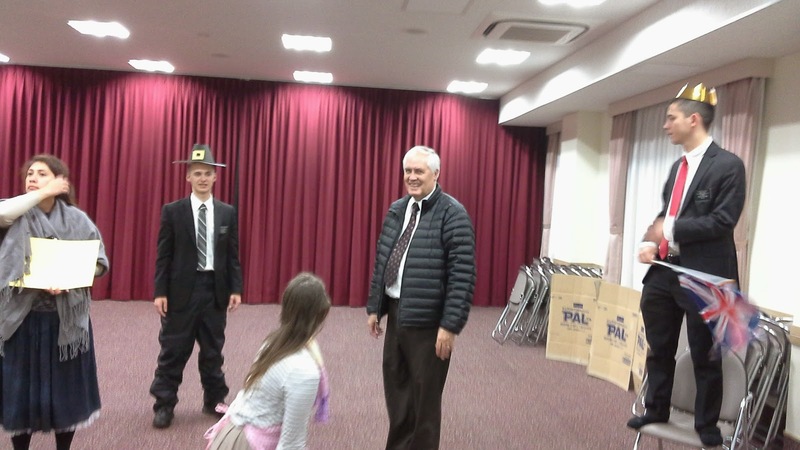 And our missionaries provided a little entertainment. Halloween Part 2; Transfer Week!